I was having lunch with one of my favorite clients last week and the conversation turned to the government’s recent round of tax cuts. “But the rich pay more in the first place,” I argued, “so it stands to reason that they’d get more money back.” I could tell that my friend was unimpressed by this meager argument. There is a long-standing myth that the “rich” somehow get a free ride in America. Nothing could be further from the truth. The first four are unaffected. They still eat for free. Can you figure out how to divvy up the $20 savings among the remaining six so that everyone gets his fair share? The men realize that $20 divided by 6 is $3.33, but if they subtract that from everybody’s share, then the fifth man and the sixth man would end up being paid to eat their meal. The restaurant owner suggested that it would be fair to reduce each man’s bill by roughly the same proportion they had been paying on past visits, and he proceeded to work out the amounts each should pay. Now the fifth man paid nothing, the sixth pitched in $2, the seventh paid $5, the eighth paid $9, the ninth paid $12, leaving the tenth man with a bill of $52 instead of $59. And that, boys and girls, is how America’s tax system works. The people who pay the highest taxes get the most benefit from a tax reduction. Tax them too much, attack them for being wealthy, and they just may not show up at the table anymore! As you have figured out, this is not a true story. Rather, it is a light-hearted look at the income tax system and politics in our country. On some level, we can all likely relate to this story, and hopefully find it amusing. Living in a free country is not without cost. Paying taxes to support our democracy and to take care of our fellow citizens is a great responsibility that we all take part in. There will always be disagreements on how much each of us should pay in relation to our means. It is a certainty that none of us like paying taxes at all, much less paying more than our fair share! Over the next few months as you take part in our great nation’s annual ritual of filing and paying your income taxes, try to keep in mind the many freedoms that we take for granted in the United States that are not available in many other countries around the world. And don’t forget about your sense of humor. Our representatives in Congress passed yet another last-minute budget agreement before their 2014 adjournment. It’s affectionately called the “Consolidated and Further Continuing Appropriations Act, 2015”, or “Cromnibus”. The bill, which the President signed, cuts the IRS budget by $135 million over last year’s amount. Purportedly the budget cut is to punish the IRS for its exempt organization scandal and to “starve” the agency to make more difficult the enforcement of the Affordable Care Act. 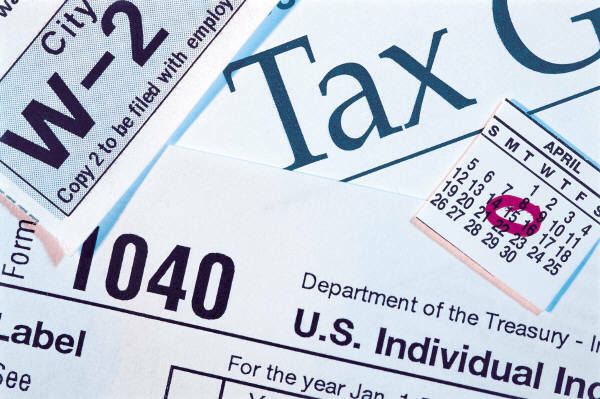 During the 2014 tax season, IRS may have delivered more than $5 billion dollars to identity thieves. That number could total $20 billion over the next five years. In some part this loss is attributable to the IRS’s 20 year-old computer technology. Since the 2010 fiscal year, the IRS’s budget has been cut by 8% and inflation has totaled about 6%. Due to past budget cuts the IRS has slashed its training budget 87% since 2010 while seeing a record number of baby boomer retirements. IRS has $300 million in unfunded information technology projects, including several that will pay for themselves many times over. No funds are available to implement these efforts. The IRS will have to enforce an increasingly complex U.S. tax law for the coming year with roughly $500 million fewer dollars than it had two years ago (not considering the effect of inflation). Nina Olson, the National Taxpayer Advocate, says it well in her report to Congress: “The requirement to pay taxes is generally the most significant burden a government imposes on its citizens. The National Taxpayer Advocate believes the government has a practical and a moral obligation to make compliance as simple and painless as possible.” Ms. Olson goes on to state that IRS’s shrinking budget is making that nearly impossible. Most of us don’t really “like” the IRS, especially if you are a career taxpayer advocate (like me). Who really likes a government agency that has the intimidation power the IRS has? But whatever you think of the IRS, it fulfills an essential function of our democratic government. Unlike most foreign countries, the U.S. tax system is built on voluntary compliance. About 98% of the revenue collected by the IRS each year is properly paid under this system, while only 2% results from IRS enforcement action. It’s self-defeating to undermine the federal government’s Accounts Receivable Department that generates a substantially positive return on investment. But what’s ultimately at stake is the voluntary tax compliance system. With rapidly declining IRS taxpayer service, the dire need for the IRS to modernize, and the worsening maze of the Internal Revenue Code, voluntary tax compliance is on the ropes. It’s time for Congress to stop choking the IRS and give them the resources needed to adequately do their job. In 2015, I am going to ____________. Statistics show that 40% of you will fill in the blank and only 8% will achieve that New Year’s resolution. So why should we even bother to make New Year’s resolutions? A new year is time to take a look at the path that our lives are going and determine whether we want to stay on this path, take the subtle curve or make the sharp turn. Many of us make personal resolutions that revolve around health, relationships and finances. Did you ever think of making these resolutions for your business also? Health – As we get older, our exercise and eating habits should change to maintain our own personal health. Similarly, you have to continually adapt and change your organization so that you adjust to an ever changing market. Continually improving processes, learning new techniques and working together will get you on track to a healthy organization. Relationships – We want to spend time with the people that we care about. Your organization should care about its customers, vendors and employees. Customers should feel like they are important. The best referral an organization can get is from satisfied customers. Your vendors will be willing to help you out if you treat them right. Recommend them to others; give them a good review or testimonial. Most importantly, your employees should feel they are valuable. A work environment that supports open communication, work/life balance, recognition and a team spirit will provide the organization with motivated employees that look forward to spending time at work. Finances –Being financially sound equals less stress and more funds available for discretional spending. Setting financial resolutions in your business can be fairly easy but how are you going to accomplish them? Many people do not know or understand the current state of their finances. It is important to be able to read a financial statement and know where you stand financially so that these resolutions can be met. Setting a budget for the New Year will allow you to continually measure how you are doing. As 2014 comes to a close and you are looking forward to 2015, I challenge you to make one resolution in each area. Share them with others in your business as it will take more than one person to achieve the resolution and everyone will be accountable. I wish you a successful 2015 and may your path to your New Year’s Resolutions be smooth! You are currently viewing the archives for January, 2015 at McGowen, Hurst, Clark & Smith.